Heidi Krauel, Joel Montgomery, and Suraj Sudhakar were selected from thousands to participate in the prestigious yearlong Acumen Fund Fellows Program. It sends a small group of business students to work with Acumen-funded social enterprises in Kenya, India, and Pakistan. Heidi is now a principal at New Island Capital, a San Francisco-based investment company that seeks to accomplish environmental and social good. Tuscaloosa, Alabama native Joel Montgomery has worked in nineteen countries, lived in five, and speaks three languages. Prior to becoming an Acumen Fund fellow, Joel was a consultant with the Business Development Center in Amman, Jordan, and Endeavor Global in Istanbul, Turkey. He earned a BS in mechanical engineering from Yale University and an MBA from the Thunderbird School of Global Management. Acumen assigned Joel to Karachi, Pakistan, to work with Micro Drip, an irrigation company focused on increasing crop yields for poor farmers. 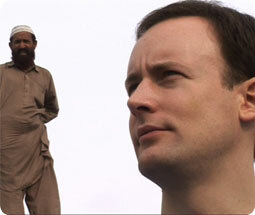 To achieve market success, Joel was forced to prioritize local culture over what he had been taught in business school. “The assignment has been the most challenging of my life,” he reported, “but I’ve also learned more here than anywhere else.” Joel is now director of international expansion for Endeavor, a social market economy development group based in New York. Suraj Sudhakar, a native of Mumbai, India, has a background in market research and healthcare. After earning a Bachelor of Technology in Computer Science and Engineering from Cochin University of Science & Technology, he helped set up and run social enterprises in India. 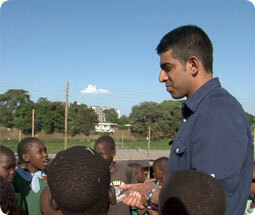 As an Acumen Fund fellow, Suraj worked with Ecotact, a Nairobi, Kenya-based sanitation company. 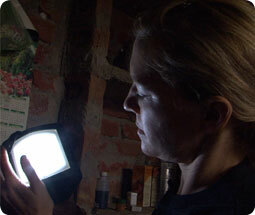 “Think about a normal day, from the time you get up to the time you go to bed,” Suraj suggests. “Now how would this day change if you had no access to toilets?” Working for Ecotact, Suraj found out that even the neediest customers need to be cultivated. Suraj has taken the lessons he learned back to Nairobi, where he is project manager for Peepoople, an organization that provides hygienic sanitation.